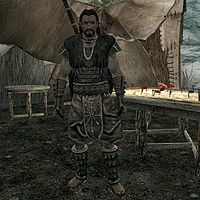 Kottir Red-Shoal is a Nord soldier, and commander of the Reach Stormcloak Camp. Should the Stormcloaks take control of Markarth, he will relocate to Understone Keep. This page was last modified on 1 February 2017, at 06:09.